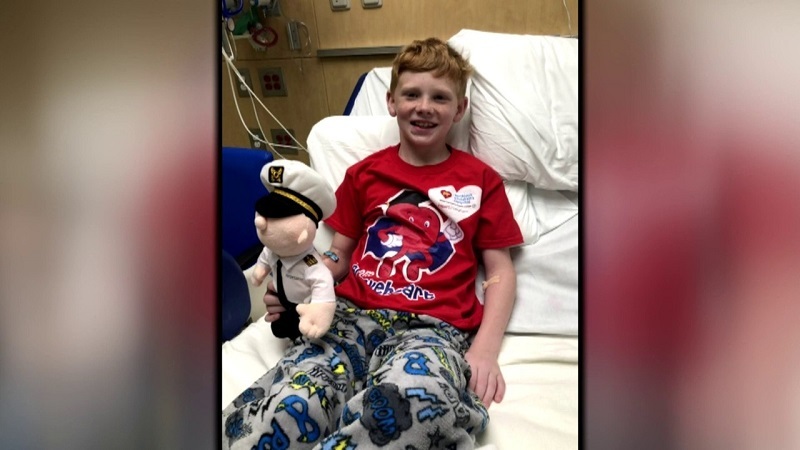 MIAMI - A family is grateful to the rescuers and doctors who saved their 8-year-old son after he had a heart attack on a cruise ship. That little boy is finally well enough to go home after receiving treatment at Nicklaus Children's Hospital in Miami. Relatives said Noah Anderson was having fun on a family cruise, enjoying his winter break away from school in Cincinnati, when, on the final night, things took a dramatic turn. "As soon as I saw him on the floor, I ran down as fast as I could and could tell he was gone at that point. I just pulled him out and started CPR right away," Noah's father, Grant Anderson, said. "I went over and laid my hand on him and prayed for him," Noah's mother, Sarah Anderson, added. Noah's parents feared it might have had something to do with his heart. "Noah has a heart condition," Sarah Anderson said. "We've known about it since he was a year old. It’s called hypertrophic cardiomyopathy, and one of the big dangers is that you can have a sudden cardiac arrest." Doctors said Noah had an abnormal rhythm, causing him to collapse. The ship was two hours away from Nassau, Bahamas, and the captain turned the ship around so that he could receive treatment. Noah was heavily sedated for nearly a day before he was flown to Nicklaus Children's Hospital on Saturday morning. Days later, doctors said he needed surgery. "He had an ICD, implantable cardioverter defibrillator, implanted on Tuesday," Sarah Anderson said. Doctors gave the defibrillator a special name for Noah. "Calls it the guardian angel," Noah said. "Every time it's below 60, my heart rate, it will automatically put it back up." Noah's shown tremendous progress, and his parents couldn't be more thankful. "We are overwhelmed with gratitude -- just that he is alive, that he is with us, that he is still the same funny, goofy Noah that we've always had," Sarah Anderson said.